Phoenix Flight Gear presents the newest line of accessories for your multi rotor, CarbonGear. Created and manufactured by pilots for pilots. 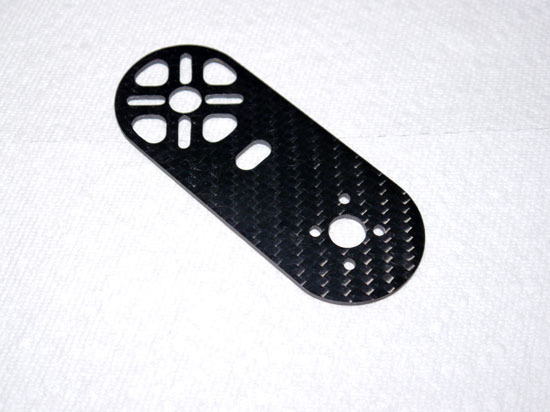 This is a single replacement carbon fiber Flame Wheel motor extension plate. 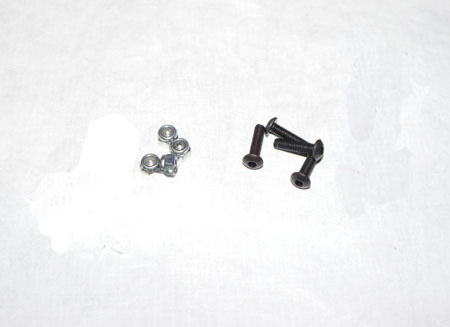 Purchase the CarbonGear Motor Extension Plate kit for your F450 or F550 and increase the arm span on the F450 to 570mm, the F550 increases to 670mm. With the larger arm span, you can run up to 12" props so you can fly with bigger motors like Avrotos, RcTigers, and many others. This increase in lift turns the F550 into a heavy lifter. Combine that improved lift with the CarbonGear 200mm F550 Carbon Fiber Landing Gear, 7mm Rail Mount Kit and the Photohigher AV130 for a easy to fly, reliable, economical aerial photography platform. We kept the build in mind with this design. Oversized ventilation holes allows your motors to run cooler, increasing efficiency and performance. A motor wire hole cleans up the installation, allowing you to keep the motor wires neat and protected, not just wrapped around the side of the motor plate.